With a loft bed you can place your child's other furniture below the bed so it's not taking up valuable room space. If you are looking to utilize a raised bed to save space, our kids loft beds are the perfect solution. Looking to maximize space in your child’s bedroom? 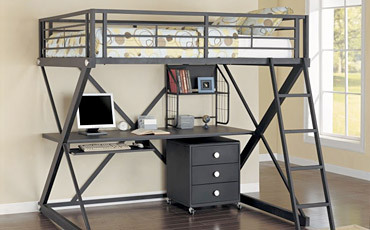 Kids loft beds from Simply Kids furniture are a great solution. With a kids loft bed you can use the space below the bed to place your child’s dresser, toy chest, kids desk or any other piece of furniture that would otherwise be taking up valuable room space. 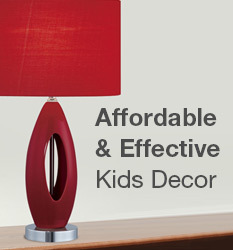 At Simply Kids Furniture, safety is the number one priority. Every kids loft bed is tremendously sturdy, extremely durable and will keep your child safe through the night. Even when they’re not going to sleep, kids absolutely love loft beds. Stand back and watch their imagination run wild as they steer a giant pirate ship or blast off in a lightning fast jet fighter. If you have two children sharing a room, our kids bunk beds section is perfectly suited for your situation. With the guaranteed lowest prices on kids loft beds, and Free Shipping on every order, Simply Kids Furniture makes your shopping experience fast, easy, and worry free. And remember, every kids loft bed comes with a 100% satisfaction guarantee.